Rogers is supposed to be one of Canada’s leading telecommunication companies. I guess bigger does not necessarily mean better. Back in August, I upgraded my cable Internet service to a small business package. This itself turned into a comedy of errors: to effect the upgrade, I had to order separately the small business service on the one hand, and cancel my residential service on the other. Sure enough, Rogers managed to cancel the freshly ordered small business service instead, and I spent an hour and a half (!) on the phone with them before it got sorted out. But, I digress. Presently, I’ve been trying to access this small business account online. Ever since my residential service was canceled, when I logged on to Rogers.com, I saw my wireless and cable TV accounts, but not the Internet account. Cool, I have the option to add a new account, and I certainly have all necessary information. So let’s give it a try. I did so last week… and the service still isn’t shown in the interface. But just today, I received a postal (!) letter from Rogers, confirming that I registered this account. There is also the option to view small business services on Rogers.com. There, I can again try to add my account. But it isn’t happening… instead, I get an error indicating that the service is unavailable. OK, let’s try to call Rogers. The letter they sent had an 877-number, which I tried to call, only to get an automated message telling me that they now have online chat support and for all other inquiries, I should call their main number… click, dial tone. There is another number, for small business support… but when I call it, all the announcements are in French, with no option to choose English. OK, let’s try live chat. The link, helpfully, is right there on the main page of Rogers.com. Click on it and… 404 error, page not found. Oh really. Come on guys, I don’t necessarily expect perfection, but this is downright amateurish. I never know what to think of our esteemed prime minister, Mr. Harper. There is of course his planned copyright bill, with its Draconian DRM provisions, which he seems determined to ram through Parliament despite opposition by many (who, incidentally, were dismissed as “radical extremists” by Harper’s Industry Minister). Then there is Harper’s much disputed crime bill, introducing tougher sentences and such in an era of declining crime rates. Why? Is this a policy based on fact or ideology? And now, we hear, Harper may want to fix our old age security pension system. Which presumes that the system is currently broken. But is it, really? An article today in The Globe and Mail suggests otherwise: in Canada, Old Age Security consumes only 2.41% of our GDP (compare this with places like Italy, where the figure is closer to 14%) and even in 20 years, this figure is expected to reach only 3.14%. Mr. Harper has several more years at the helm, even if he is not re-elected. I sure hope that he will be more inclined in the future to push aside ideology and base his governing instead on facts and reality. Unfortunately, when Newt Gingrich floated this idea while campaigning in Florida, I did not feel excited at all. That is because I have very little doubt that this was simply an exercise in transparent political opportunism. Mr. Gingrich is hoping to gain some votes in the Space Coast, but I suspect that even residents there, whose livelihood for a long time has depended on a healthy space program, will see through his blatant pandering. NASA’s week of mourning begins tomorrow. The three deadly accidents in NASA’s history all happened in late January/early February. Apollo 1 caught fire 45 years ago on January 27, 1967, killing Grissom, White and Chaffee. Challenger exploded 26 years ago, on January 28, 1986, killing all seven on board. And Columbia broke up during reentry on February 1, 2003, just nine years ago, killing another seven people. Why these accidents all happened during the same calendar week remains a mystery. When I write about things like precision orbit determination, I often have to discuss the difference between ephemeris time (ET) and coordinated universal time (UTC). ET is a “clean” time scale: it is essentially the time coordinate of an inertial coordinate frame that is attached to the barycenter of the solar system. On the other hand, UTC is “messy”: it is the time kept by noninertial clocks sitting here on the surface of the Earth. But the fact that terrestrial clocks sit inside the Earth’s gravity well and are subject to acceleration is only part of the picture. There are also those blasted leap seconds. It is because of leap seconds that terrestrial atomic time (TAI) and UTC differ. Leap seconds arise because we insist on using an inherently wobbly planet as our time standard. The Earth wobbles, sometimes unpredictably (for instance, after a major earthquake) and we mess with our clocks. Quite pointlessly, as a matter of fact. And now, we missed another chance to get rid of this abomination: the International Telecommunication Union failed to achieve consensus, and any decision is postponed until 2015. For the curious, an approximate formula to convert between TAI and ET is given by ET – TAI = 32.184 + 1.657×10–3 sin E, where E = M + 0.01671 sin M, M = 6.239996 + 1.99096871×10–7 t and t is the time in seconds since J2000 (that is, noon, January 1, 2000, TAI). To convert TAI to UTC, additional leap seconds must be added: 10 seconds for all dates prior to 1972, and then additional leap seconds depending on the date. Most inelegant. Speaking of leap this and that, I think it’s also high time to get rid of daylight savings time. Its benefits are dubious at best, and I find the practice unnecessarily disruptive. A couple of weeks ago, somewhere I saw a blog comment that mentioned a book, Rad Decision, written by nuclear engineer James Aach. Back in the late 1970s, when I got my hands on The Prometheus Crisis by Scortia and Robinson, I just couldn’t put the damn thing down; I read through the night and I finished the book by the morning. So naturally, I couldn’t resist the temptation to buy the last in-stock copy of Aach’s book on Amazon.ca. And I am glad I did. My concerns that it would be a trashy, amateurishly written novel quickly dissipated. Indeed, in a sense it is a lot better than The Prometheus Crisis: the crisis in Aach’s book is far less dramatic, but the story is believable, the characters perhaps more credible. My only concern: while this book teaches a lot about nuclear power (and why we should not fear it), its likely audience already knows. Those who would benefit the most from reading it, well, won’t. Courtesy of Lloyd’s List (a maritime publication that I don’t think I ever heard of previously) we now know the route of the ill-fated cruise ship Costa Concordia, and also that at least on one previous occasion, it followed a nearly identical route. One speculation is that the captain may have been using a low-resolution British naval chart (and thus when he asserted that the rock his ship ran into was not on the chart, he may have been telling the truth). This chart should never have been used for coastal navigation; indeed, a ship the size of the Costa Concordia (as large as a supercarrier) had no business being that near a rocky shore in the first place. 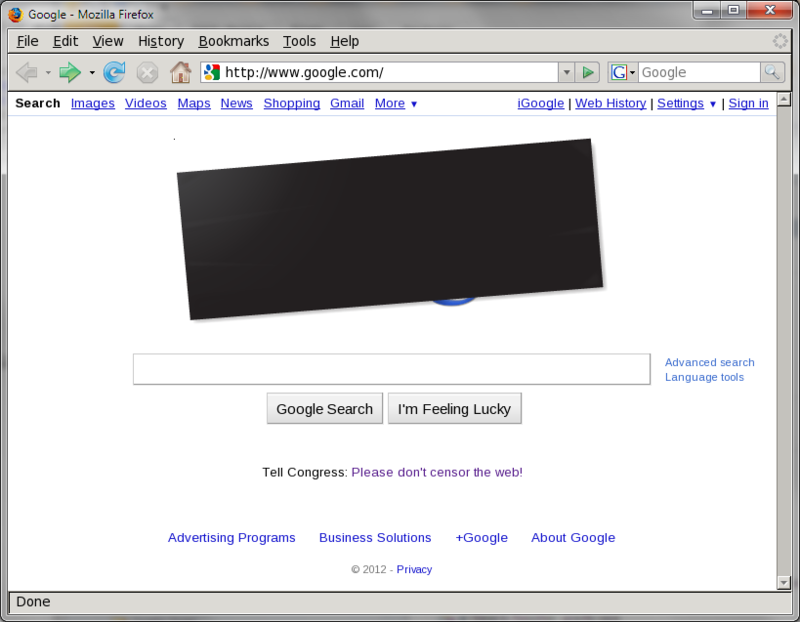 Here is Google’s way of protesting proposed copyright legislation: black out the company logo and direct users who click on it to a protest page. 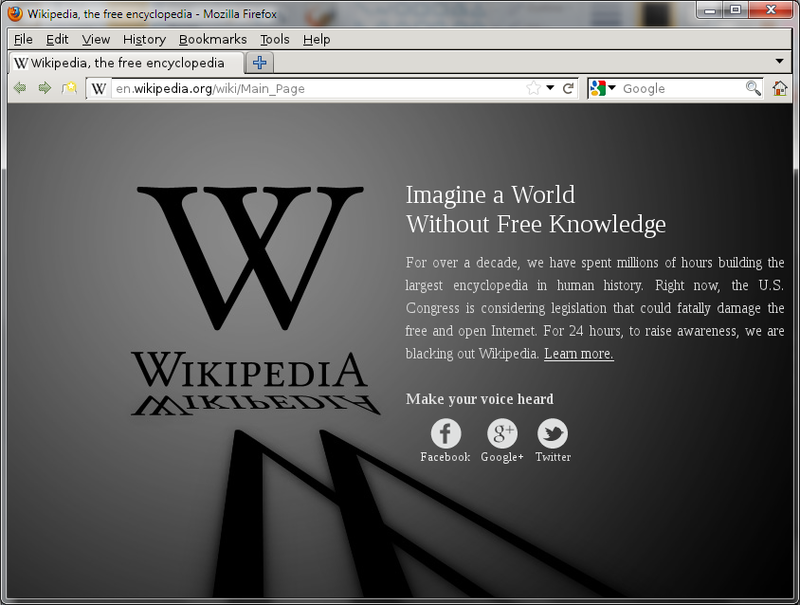 And then here is Wikipedia’s form of protest: black out the entire site. Never mind that the people you are most likely to hurt are your friends, and the people who are the least affected are your opponents. Why not be vindictive about it, if you can? Indeed, while you are at it, why not black out Wikipedia even for non-US users, just for good measure, despite the fact that there is very little they can do that would affect the decisions of the US Congress. Fortunately, the blackout is easily circumvented. Nonetheless, doing what Google did would have been just as effective, and far less harmful both to Wikipedia’s reputation and to users who rely on its services every day. Unfortunately, radical activism prevailed over common sense: the difference between public protest and sabotage was forgotten. This is what dooms revolutions: they may be started by idealists and poets but ultimately, it is characters like Boris Pasternak’s Strelnikov in Doctor Zhivago, who set the tone. I just wrote a comment, registering my objection to Wikipedia’s decision to protest a proposed US legislation with a total blackout of its English-language site. In a letter titled “Summary and conclusion”, those behind this decision state that “over 1800 Wikipedians […] is by far the largest level of participation […], which illustrates the level of concern”. I was one of the 1800+. 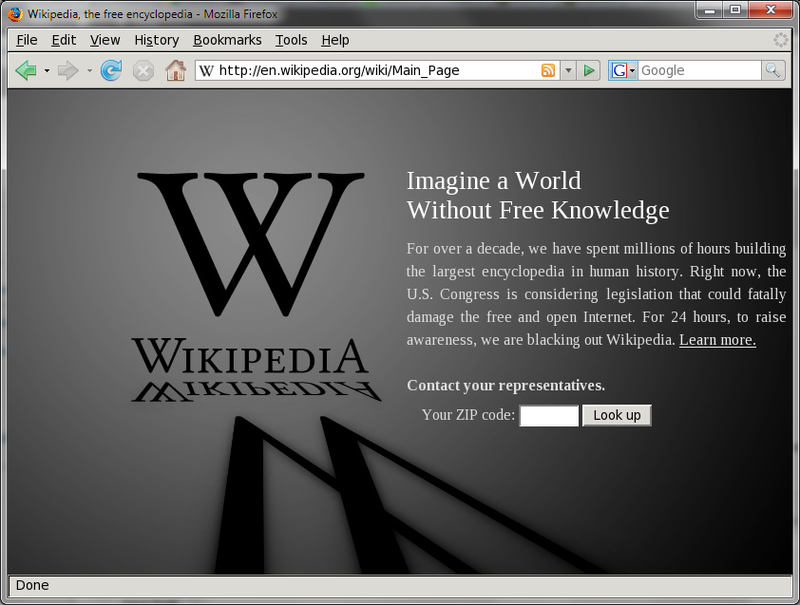 But, my concern was not about SOPA (I am concerned about it, but that’s another matter) but about the proposed radical action and its possible negative consequences for Wikipedia. I also pointed out that given the way the vote was organized, it is clear that the decision was not a result of a majority (50%+) vote. It was merely the option (one out of many) picked by the most vocal minority. Taking such radical action without a clear majority mandate is a badly misguided step, to say the least. Lastly, I pointed out that with the legislation effectively dead (in the unlikely event that both houses of Congress pass the legislation, the White House all but promised a veto) proceeding with the blackout makes little sense. It is as if we threatened nuclear war, our opponent backed down, and then we went ahead and nuked the hell out of them anyway, just for good measure. Meet the father of all hackers: Nevil Maskelyne. In 1903, this gentleman gained notoriety by hacking into Guglielmo Marconi’s purportedly long-distance secure wireless telegraph, causing it to tap out unflattering messages about Marconi minutes before it was to be demonstrated at the Royal Institution. 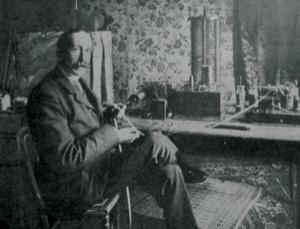 Maskelyne was a disgruntled competitor, his business suffocated by Marconi’s overly broad patents, but he justified his actions claiming that it was in the public interest to expose the flaws of Marconi’s system. If his name sounds familiar, by the way, it’s perhaps because of his famous namesake, Nevil Maskelyne, the Astronomer Royal who a century and a half earlier was the cause of so much frustration to John Harrison, creator of the marine chronometer. It’s now the Washington Post’s turn to denounce Prime Minister Orban’s increasingly autocratic government in Hungary, and rightly so: they say things such as “the government of Prime Minister Viktor Orban now more resembles the autocratic regimes of Russia and Belarus than fellow E.U. democracies”, and I couldn’t agree more. Surprisingly, I see fewer and fewer voices from Hungary denouncing such outbursts in Western media as the work of some internationally financed (a code phrase for Jewish) liberal bolshevik cryptocommunist conspiracy. I find watching Mr. Orban’s performance especially painful. For starters, I expect more from people whose first name I share. He is also almost exactly the same age as I am. For all I know, we may have run into one another in Budapest several times in the 1970s or early 1980s. I am trying to make sense of his autocratic tendencies, and the only explanation I can come up with is that he truly distrusts anyone who thinks differently. Since he views himself as a democrat, people who disagree with him must be antidemocratic by definition; therefore, paradoxically, in order to protect democracy he must silence his opposition. But who protects democracy from democrats? A stable system of institutions, that’s who, but unfortunately it’s precisely this system of of institutions in Hungary that Mr. Orban has very effectively dismantled in the past two years. The damage will be lasting: even if Mr. Orban’s party were swept from power tomorrow, it will take decades to rebuild what he destroyed, grossly abusing his extraordinary parliamentary supermajority. I do not envy Hungarians who must suffer the consequences of Mr. Orban’s dilettantish by determined (a phrase attributed to a former Hungarian PM, Gordon Bajnai) economic policies, but I also do not envy future leaders of Hungary who will face the nearly hopeless task of rebuilding what the Orban government destroyed. Neutrinos recently observed by CERN’s OPERA experiment may have been traveling faster than light. Or may have not. I have been discussing with physicists a number of possibilities: the role of statistics, errors in time or distance measurements, comparisons to SN 1987A, Cherenkov radiation, or the necessity for a Lorentz-violating theoretical framework. Fortunately, there is one thing I did not need to discuss: How faster-than-light neutrinos relate to the Koran. Physics educators in Pakistan, such as Pervez Hoodbhoy writing for the Express Tribune, are not this lucky: they regularly face criticisms from fundamentalists, and if they choose to confront these head-on, they provoke ominous reader comments that call on all Muslims to “reject this evil experiment”. Yet, there is a glimpse of hope: a Pakistani reader mentions Carl Sagan’s The Demon-Haunted World, one of Sagan’s last books, and a superb one about rational thinking versus superstition. I don’t know how popular Sagan’s book is in Pakistan, but I am glad it’s not forgotten. 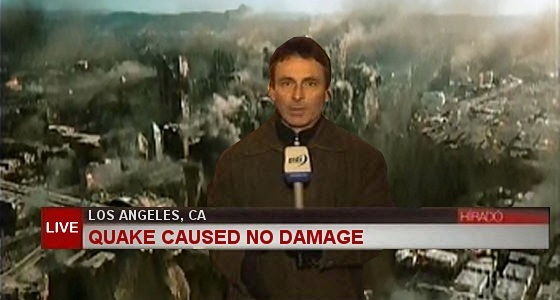 The newest Hungarian Internet meme is alive and well: thanks to the Two-Tailed Dog Party, everyone can now construct their own version of a still television frame with Hungary’s latest celebrity news reporter, Andras Vigh, made famous by reporting on a massive opposition rally earlier this week using an empty street as a backdrop. I now constructed my own. I just watched “2012” last night for the first time, and it seemed appropriate. Here is the English version. Has NASA nothing better to do than harass aging astronauts such as Jim Lovell who, some forty years after having survived a near-fatal accident in deep space (caused by NASA’s negligent storage and handling of an oxygen tank), is auctioning off a checklist containing his handwritten notes? A checklist that, had it remained in NASA’s possession, would likely have ended up in a dumpster decades ago? This is so not kosher. Let Lovell sell his memorabilia in peace. If anyone has a right to do it, the survivors of Apollo 13 certainly do. This is a picture of a member of the US navy and an Iranian fisherman hugging each other. 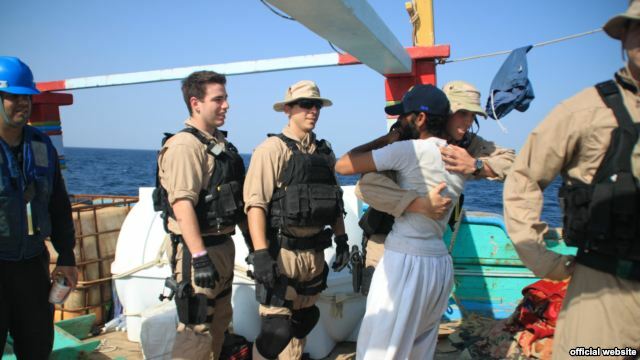 The hug is on the occasion of the US navy having rescued said fishermen from Somali pirates. It took them a day to make up their minds, but even the leaders of Iran decided eventually that this was “a welcome and humanitarian act”. Try banning a meme, morons! The word “meme” is a relatively new one, originally coined by Richard Dawkins in his 1976 book, The Selfish Gene as the cultural analog of a gene. A meme is a concept or an idea that spreads to person to person within a culture. By their very nature, good memes survive even in harsh environments, despite official sanctions, bans, or attempts at censorship. Two days ago, a massive demonstration took place in Budapest, Hungary, triggered by the country’s new constitution and the increasingly authoritarian behavior of the ruling Fidesz party. The country’s public television channel tried to downplay the significance of these demonstrations in its evening newscast, strategically placing its reporter on a quiet street, away from the crowds. There was little public interest as members of his immediate family joined Jesus C. (33), a felon with multiple convictions known for his anti-regime speeches, on his final voyage. In English, the on-screen captions read: “Golgota; Live; In three days, no one will remember the storyteller”. 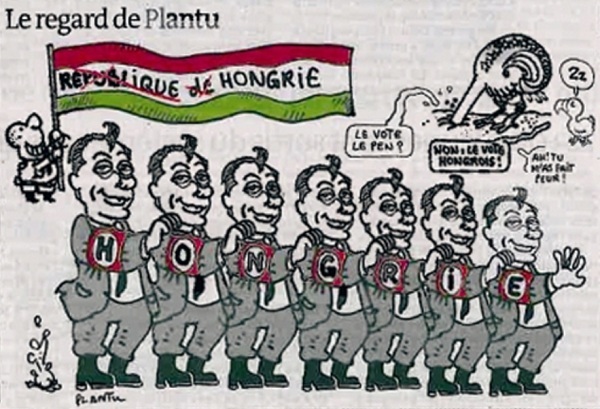 It appears that the once respected French newspaper Le Monde, too, has fallen victim to the agitations of this international liberal bolshevik cryptocommunist gypsy conspiracy, aimed to defame my country of birth, (no longer The Republic Of) Hungary, its perfectly democratic, flawless government and its Dear Leader, I mean, humble prime minister, lone champion of democracy in this European sea of neoliberal slime financed by corrupt Jewish money. In an alternate universe, the one in which I unfortunately live, the journalists of Le Monde just might have a point.